Additional Info: Bachelor's and Master's in Composition/Theory from Northwestern University; DMA studies [ABD] at University of Illinois [Composition]; DMA studies at Juilliard [Trombone]. Study with Frank Crisafulli, Robert Gray, Edward Kleinhammer, Jeffrey Reynolds and Charles Vernon. Teaching at Universidad Catolica de Chile, Valparaiso and Santiago; University of Calgary, Canada; University of Washington, Seattle; Western Washington University, Bellingham; Hong Kong Academy for Performing Arts [HKAPA]; Northeastern Illinois University, Chicago; Mahidol University College of Music, Salaya, Nakhonpathom, Thailand 73170. 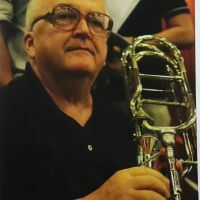 Member of Calgary Philharmonic; Northwest Chamber Orchestra, Seattle; extra with Seattle Symphony; New Mexico Symphony; Hong Kong Philharmonic; Thailand Philharmonic.